This video has been floating around for some time, but I was reminded of it after watching Inception again last night. 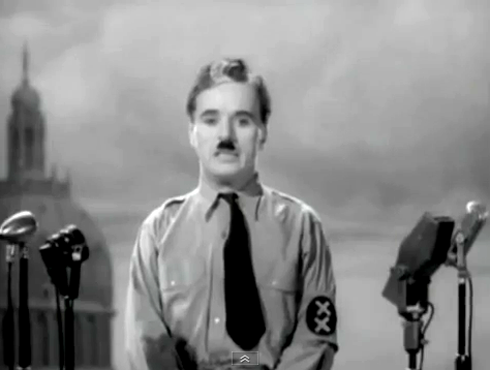 What someone did was take Hans Zimmer's track, Time from the Inception soundtrack and overlaid it with the powerful speech that Charlie Chaplin gives at the end of the Great Dictator (1940). Not only does the music sync up surprisingly well without alteration, but as is usually the case with music, it serves to make Chaplin's words that much more epic. His message rings just as true as it did 70 years ago, and because of that you can see why this video has been spreading.